Mbuluzi Game Reserve is a privately owned reserve in the North-East part of the Kingdom of Swaziland. It forms part of the Lubombo Conservancy. The Reserve is bound by the beautiful Mbuluzi River and the Lubombo Mountain range in the east and boasts a remarkable diversity of habitat. Two rivers flow through the reserve, which together with the bushveld plains and mountainous ridges make Mbuluzi a really beautiful place. There are many mammal species to be seen at Mbuluzi, including Kudu, Nyala, Giraffe, Impala, Bushbuck, Warthog, Waterbuck, Zebra, Hippo, Crocodile, Wildebeest, Bush Pig, Duiker, Jackal, and Crocodile. 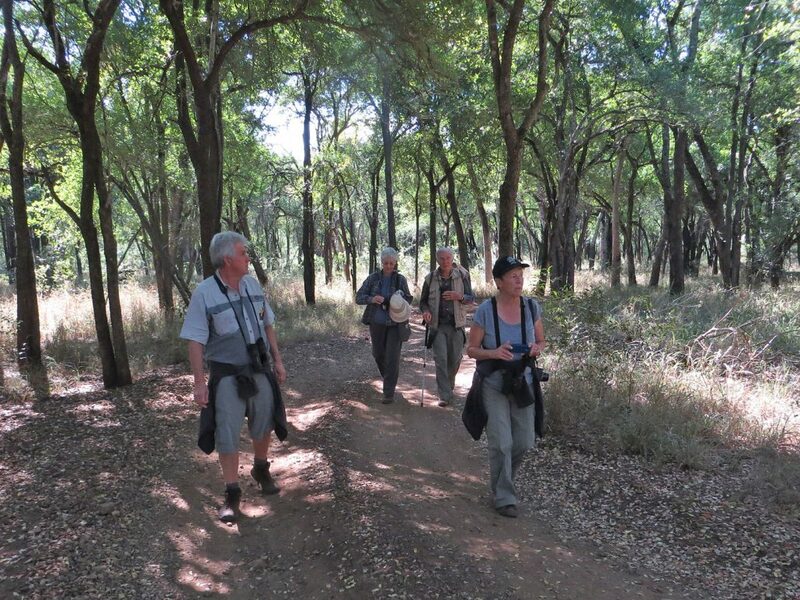 Over 300 species of birds have been spotted in Mbuluzi Game Reserve including some rare and uncommon species such as the White-backed Night Heron, African Finfoot, Narina Trogon, Yellow Wagtail, Grey-hooded Kingfisher, Pels Fishing Owl, and Dwarf Bittern and Crested Guineafowl. Walking & Mountain biking: There is a well laid out network of trails and guests can walk or bike from their lodge, or drive and start a trail from some other point of interest. The trails inter-link and can be traveled individually or connected to make a longer outing. The beauty of Mbuluzi with its diverse habitat can be enjoyed to the full while on a trail. The rewards are many as one walks along river banks, across rivers, through open savannah into cool wooded areas and up rocky ridges. 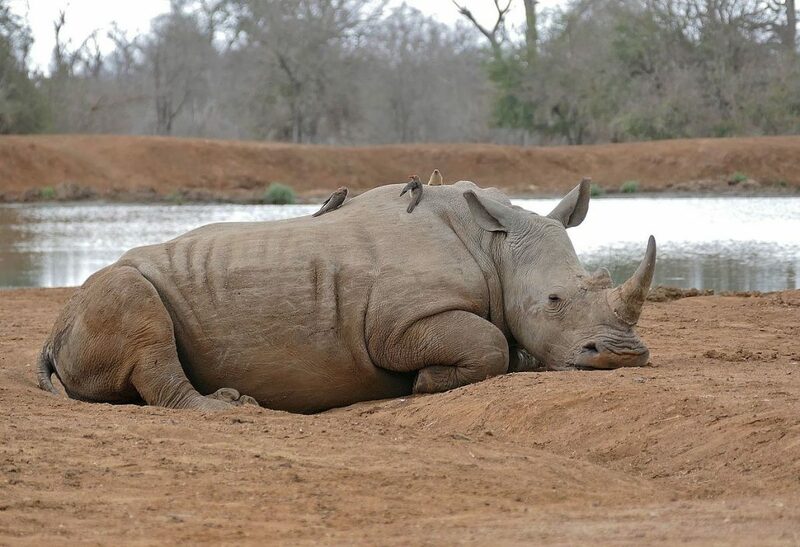 Game Viewing: Daytime game drives enable viewing of several wildlife including Giraffe, kudu, wildebeest, waterbuck, zebra, impala, bushbuck, Nyala, duiker, warthog, jackal, hyena and crocodile, with occasional visits by Hippo. Fishing: Visitors can try out fishing overnight in the two perennial rivers of Mbuluzi and the Mlawula River. Although there is a limit of only two fish caught per guest on a single day. There are three accommodation lodges and one camp in the reserve and they offer 21 beds between them. 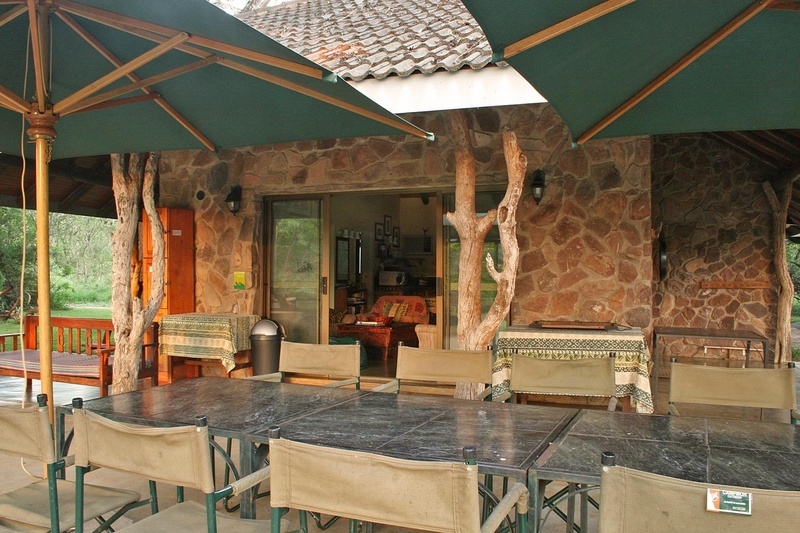 Singwe Lodge has four double rooms with en-suite bathrooms and showers. Two of the rooms have a beautiful outdoor shower just off the bathroom and they also have their own wooden deck, leading off the bedroom that overlooks the Mlawula River. The best treasure about Singwe lodge is it offers guests a true jungle ambiance and creates a satisfying natural view of the reserve. 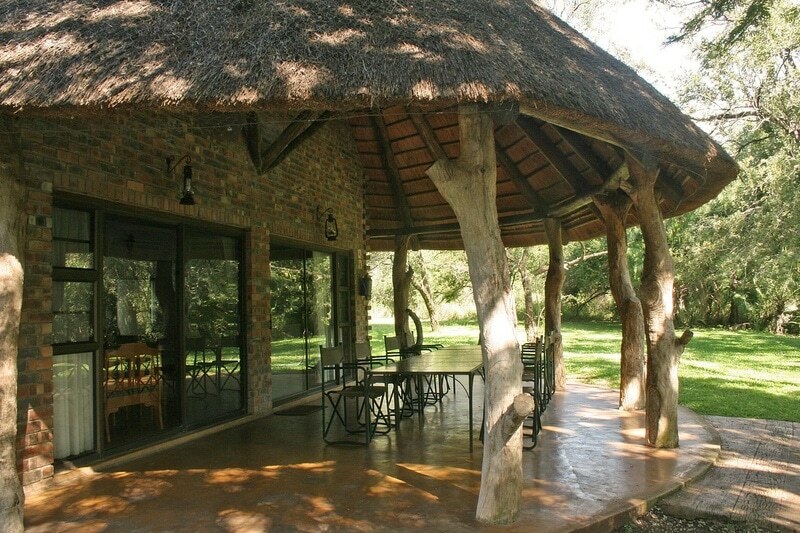 On several occasions, guests are seen relaxing outside the main lodge area. Nkankanka Lodge is nestled on the banks of Mlawula River. It is the ideal venue for a family safari involving a big number residing in one place. 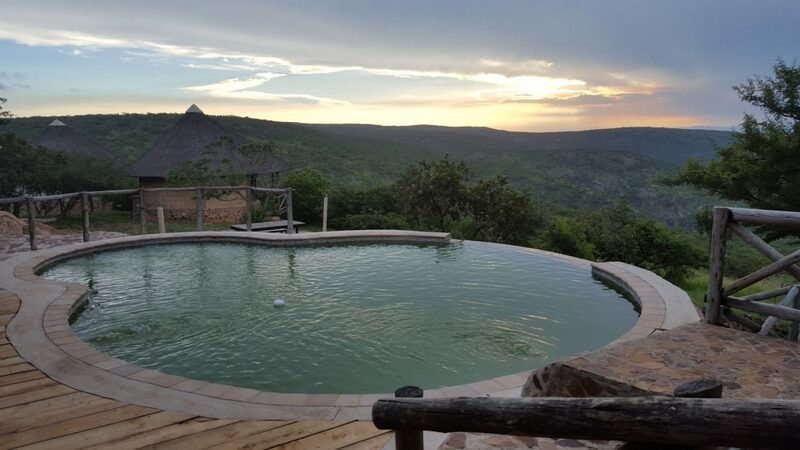 The Lodge is stylishly designed with four double rooms each with a panoramic view of the bush. Nkankanka lodge provides the accommodation with well equipped with eco-friendly features and comfort with the most precious being the sliding doors. Facilities include en-suite bathrooms and showers. Ndlovu Camp is a spacious and rustic camp located north of Mbuluzi Game Reserve adjacent the Mbuluzi River. The main house has a bathroom, and wood fire heated showers. The Camp offers a complete camping experience and gives priority the guests’ preferences. It has three campsites enclosed by bamboo fences and each has a picnic table, braai area, campfire pit and flowing water tap. 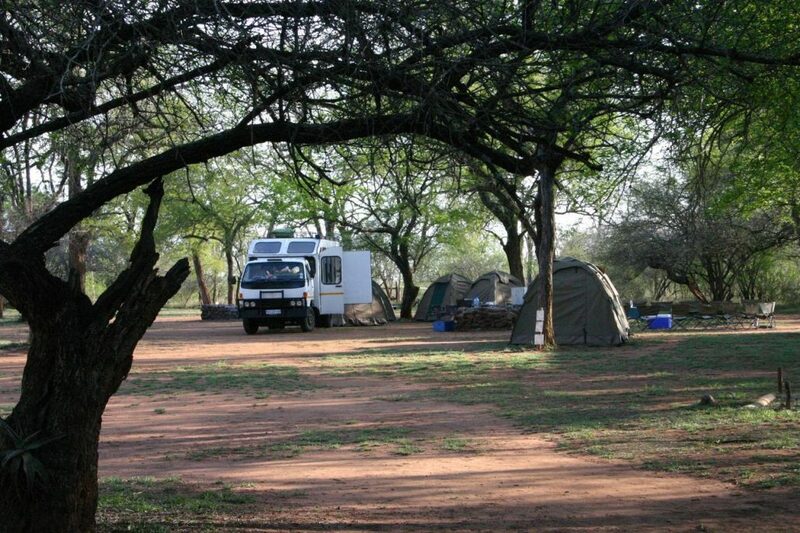 Ndlovu Camp welcomes its guests with no electricity, but campfires are available at the campsite and camping fees to include a roll of toilet paper and a paraffin lamp. Activities include where you can fish or check out the small rapids. This is about 550km. Drive East towards Malelane / Komatipoort for 13km and a further towards Jeppes Reef. At 15km go past Komati River continue for 500m after the Tonga Police post on the road to Mangweni and Mananga Border post. You will go through Mhlume village after which you turn right to cross across Mbuluzi River. From Durban, drive for approximately 500km before reaching. Visitors from Johannesburg can opt to use the Johannesburg – Mbabane which also stretches for about 500km. A traveler from Mozambique, the best alternative is the Maputo – Lomahasha (Namaacha) route which is about 96km.